Sole God beside whom there is none! YHWH my God you are very great. How many are your deeds … You made the earth as you wished, you alone, All peoples, herds, and flocks. YHWH, how manifold are your works! In wisdom you have made them all; the earth is full of your creatures. When you set in western lightland, Earth is in darkness as if in death You make darkness, and it is night, when all the animals of the forest come creeping out. The young lions roar for their prey .. when the sun rises, they withdraw, and lie down in their dens. You set every man in his place, You supply their needs; Everyone has his food. These all look to you to give them their food in due season. He makes waves on the mountain like the sea, To drench their fields and their towns. The Hymn to the Aten, supposedly composed by the king, Akhenaten, shows undoubted similarities to Psalm 104. Careful analysis of the relevant texts, however, indicates that, unlike the God of the OT, the Aten was an essentially isolated and amoral deity who could be approached only via the Egyptian king. The similarities b/w the Hymn to Aten and Psalm 104 are perhaps better explained in terms of the common literary tradition of ancient Egypt and Israel. I recommend the writings of Egyptologist David Rohl, and specifically with regards to this page, “From Eden to Exile”, chapter 15. Unfortunately it’s only available in hard copy. Rohl’s “New Chronology” of Egyptian history perfectly explains the linkage between David’s psalm and Akhenaten’s hymn by removing the centuries in time that separated the two men. Rohl’s NC is not yet widely accepted, but I believe it will be. It’s certainly worth consideration by a group such as this. Great recommendation regarding David Rohl’s work. He has it figured out. Akhenaten and David were contemporaries. The truth of his theories will surely be accepted in time. 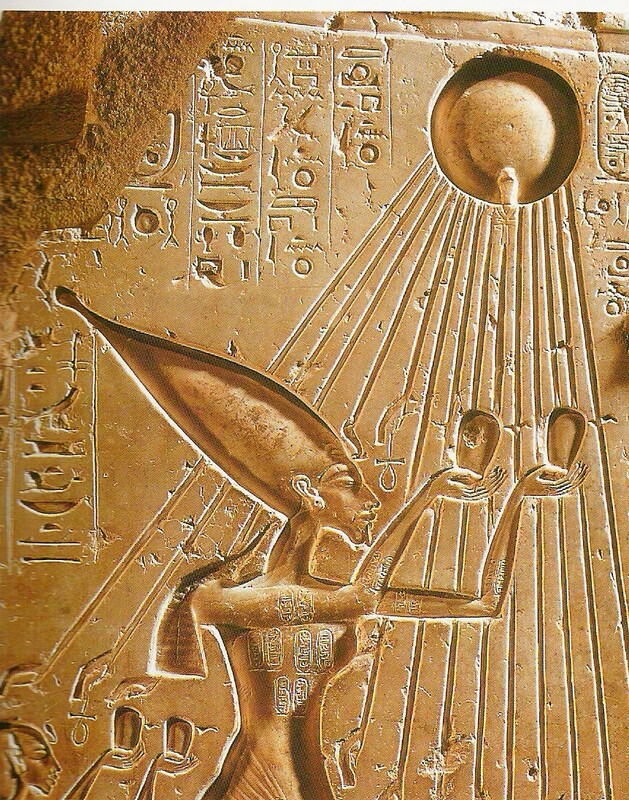 Taking Thutmoses III as the Exodus Pharaoh also causes Akhenaten and his likely composition of the Hymn to Aten to be contemporary to David and Psalm 104… Plus the added bonus of WHY Akhenaten became monotheist! As for David Rohl’s work… I have found the following videos to be excellent synopses of his work.